"Embodied" is exhibited at Edinboro University through Feb. 22. 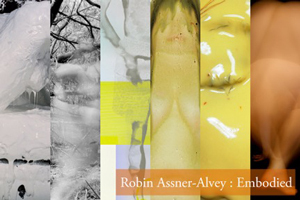 Robin Assner-Alvey has a solo exhibition at Bruce Gallery on the campus of Edinboro University in Edinboro, Pennsylvania, from Jan. 23-Feb. 22, 2019. Assner-Alvey is associate professor in the Department of Art Design and Art History in Webster's Leigh Gerdine College of Fine Arts, where she teaches all levels of photography. She works with photography, video and installation. Her work examines corporality and asks viewers to consider the experience of living in their own skin. She has exhibited in various solo and group shows throughout the United States. View her work on her website: www.robinassner.com. 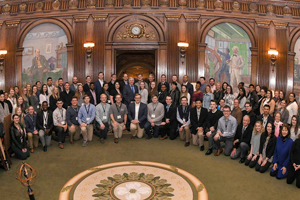 Nancy Christian, of Amedabad India, represented Webster University during the 2019 Missouri Governor's Student Leadership Forum on Faith and Values. She was one of 80 students selected in the state for this prestigious 32nd annual event. Created by former Missouri Governor and 79th U.S. Attorney General John Ashcroft, the three-day forum extended from Jan. 9-11, 2019. This Leadership Forum on Faith and Values encouraged these students by challenging their decision-making, values and belief systems using the platform of servant leadership. Learn more in this announcement through Webster's Merit page, a system that helps celebrate and publicize student achievements, distributing announcements to their hometown newspapers, members of Congress and parents. Larry Morris '08, MA '16, coordinator in the Multicultural Center and International Student Affairs (MCISA), was named a St. Louis Champion. Morris, who is also a Webster alumnus, is frontman, songwriter, and lead vocalist for the fusion band iLLPHONiCS. 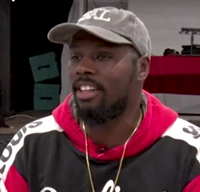 Watch video of him discussing his community engagement work in this Facebook announcement of the Champion award from the St. Louis Civic Pride Foundation. Susan Schultz was nominated to the board of O'Fallon Shiloh Chamber of Commerce. 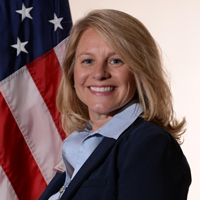 Schultz is director of Webster's Scott Air Force Base (Illinois) location. She is also currently in a two-year term as an Honorary Base Commander at Scott AFB.